The flat "blade-shaped" 3G/4G antenna is 6.2 inch (157 mm) long and has an omni-directional radiation pattern that delivers up to 5 dBi of gain with an integrated ground-plane. 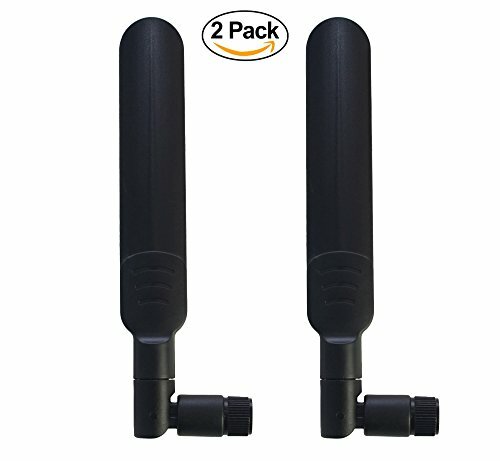 The polycarbonate antenna swivels 90 degrees and rotates 360 degrees for optimal positioning and maximum signal reception and has an integrated SMA male plug connector which mates with the SMA female jack on many popular cellular modems and routers. This antenna is an excellent general purpose cellular antenna suitable for any mobile or stationary application. NOTE: For the Verizon 4G LTE Broadband Router (Novatel T1114) you need the magnetic base option to install 2 antennas.